So writes Eric Sprott (www.sprottasset.com) in edited excerpts from his original article* entitled Why are (Smart) Investors Buying 50 Times More Physical Silver than Gold?. This article is presented compliments of www.FinancialArticleSummariesToday.com (A site for sore eyes and inquisitive minds) and www.munKNEE.com (Your Key to Making Money!) and may have been edited ([ ]), abridged (…) and/or reformatted (some sub-titles and bold/italics emphases) for the sake of clarity and brevity to ensure a fast and easy read. The author’s views and conclusions are unaltered and no personal comments have been included to maintain the integrity of the original article. Please note that this paragraph must be included in any article re-posting to avoid copyright infringement. Average annual gold mine production is approximately 80 million ounces, which together with an estimated average 50 million ounces of annual recycled gold, totals around 130 million ounces available per year. In comparison, annual mined silver production has averaged around 750 million ounces, while recycled silver is estimated at 250 million ounces per year, which adds up to approximately 1 billion ounces. Using this data, there is roughly 8 times more silver available to buy than there is gold. However, not all gold and silver is available for investment purposes, due to their use in industrial applications. It is estimated that for investment purposes (jewelry, bars and coins), the annual availability of gold is roughly 120 million ounces, and of silver it is 350 million ounces. Therefore, the ratio of physical silver availability to gold availability is 350/120, or ~3:1. As you can see, investors are choosing to buy silver at a ratio to gold that is well above what is available. This uptrend doesn’t show any signs of slowing either. The ratio of the physical silver to gold is both rising and extraordinarily above the availability ratio of 3:1. We can also use other data such as the most recent issues of the Sprott Physical Gold and Silver Trusts. The last Gold Trust issue in September 2012 raised US$393 million and the last Silver Trust issue raised US$310 million. On the basis of prices for each metal at the time of issue, we could purchase ~213 thousand ounces of gold and ~9.1 million ounces of silver. This represents a purchase ratio of 43:1. 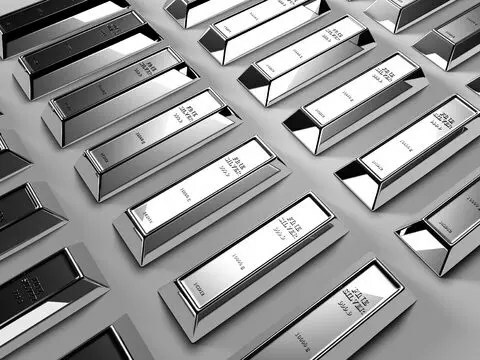 If we examine ETF holdings in both gold and silver, we note that in the period from 2007 to 2012, the increase in silver holdings amounted to 12,000 tonnes, compared to 1,200 tonnes of gold – meaning, investors purchased ten times more silver than gold. These are only three factual data points to consider, but there are other indications that silver investment demand is way out of line with availability. Our favourite question to the bullion dealers we meet, is to ask the ratio of their dollar sales in gold versus silver. The answer is that dollar sales are equal, which means that physical silver sales relative to gold are greater than 50:1. A recent news headline on Mineweb read, “Silver Sales to Outshine Gold in India.2” It went on to quote a bullion dealer that “investors and jewelry lovers prefer silver jewelry these days.” As the largest importer of gold in the world, it would be impossible for India to purchase an equivalent amount of silver, as it would require more than one billion ounces, essentially more than the current annual mine production. While these last two confirmations of silver demand are anecdotal, the statistics from the US Mint, the ETFs, and our Physical Trust issues, are factual. Which brings us back to the phrase “Follow the money.” In our view, it is almost inconceivable that investors would allocate as many dollars to silver as they would to gold, but that is what the data shows. The silver investment market is very small. While the dollar value of gold in the world approaches $9 trillion, the value of silver in the forms of jewelry, coins, bars and silverware is estimated at around $150 billion (5 billion ounces at $30 per ounce). This is a ratio of 60:1 in dollar terms. 5. Alf Field Sees Silver Reaching $158.34 Based on His $4,500 Gold Projection! 8. I’m A Crazy Silver Bug…Why Aren’t You?!! 9. Gold: What Does a “Troy” Ounce or “18/24 Karat” Gold Really Mean? Of the 1040.6 million troy oz of silver produced in 2011, 84% was used in over 10,000 modern industrial applications (16% used as an investment) of which approx. 33% was used in the traditional forms of fabrication such as jewelry, coins, medals, and silverware with the remaining 66% actually being consumed. While the actual amount is unknown, some experts believe as much as 90-95% of all the silver ever mined has been ‘lost’ to landfills. For this reason, there is likely less silver available above ground than gold (98% of all gold is accounted for today). For more interesting information regarding the supply of, and demand for, silver please refer to the infographic below. 18. Eric Sprott: Financial Train Wreck Coming Soon! Got Gold? Better Yet, Got Silver? 26. Silver is Now Even More Precious Than Gold! Do You Own Any? 29. Panic Before the Herd and Win-Win with Silver! 31. Why You Should Buy Silver – Instead of Gold!